Tell me, who would even care? Here that didn't drift away? Tell me, who will even care? What remains in time that didn't fade away? Written by Neil Tennant, Chris Lowe, Miranda Cooper, Brian Higgins, Nick Coler. Guest vocals: Carla Marie Williams (courtesy of Xenomania Records). Keyboards & programming: Chris Lowe, Neil Tennant, Nick Coler, Kieran Jones, Toby Scott, Tim Powell, Jason Resch, Owen Parker, Matt Gray. Guitars: Nick Coler, Jason Resch, Sacha Collisson. Published by Warner Chappell/Xenomania/Cage Music Ltd/Sony ATV. Brian Higgins identifies "The Way It Used To Be" as a personal favourite. He cites Neil Tennant's vocal performance as a highlight, while giving credit to the singer's lyrics in general. 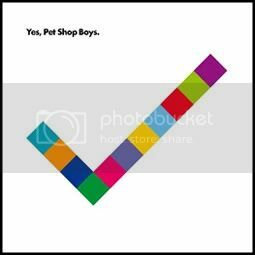 The song is also Neil Tennant's personal favourite. He said: "It is almost like a film the way it's structured - a man and a woman meet after many years and then we have a flashback to when they first lived together and it goes through their whole relationship and then suddenly they meet again."